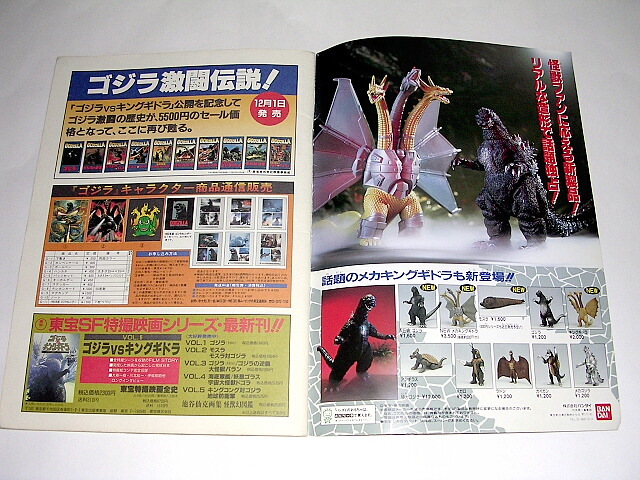 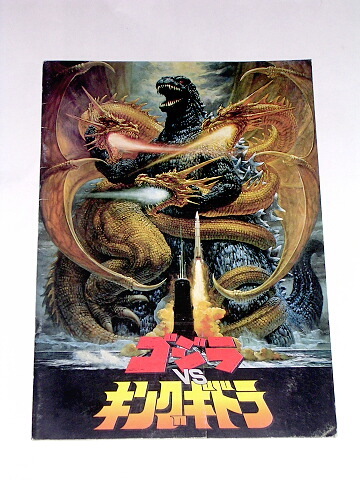 This is the Theater Exclusive Movie Program for GODZILLA VS. KING GHIDORAH 1991! 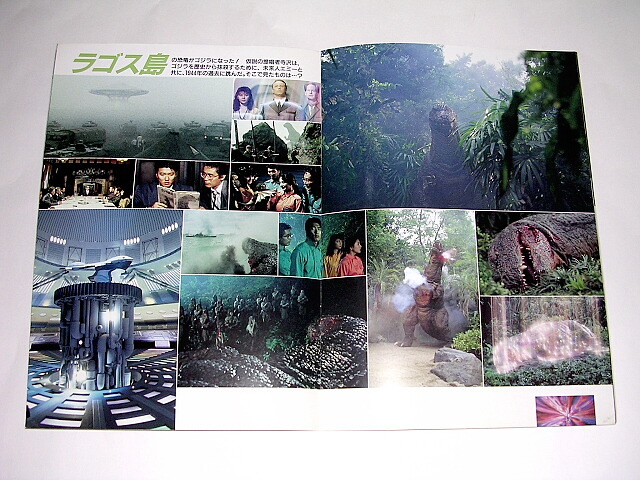 This Program has AWESOME ARTWORK on the cover. 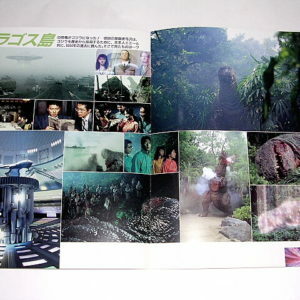 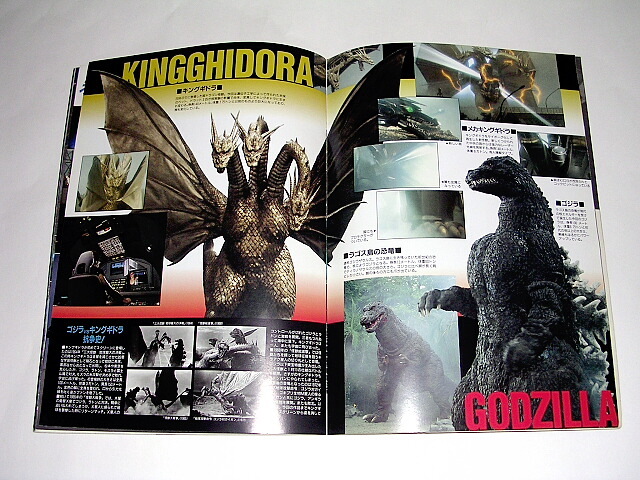 It has 24 glossy pages chock full of battle scenes, cast profiles, behind the scenes and merchandise photos. 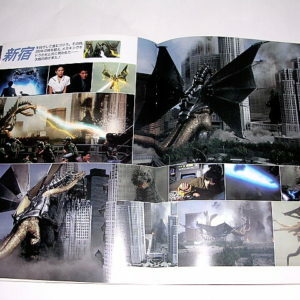 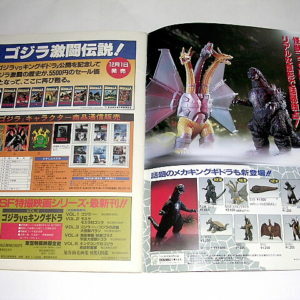 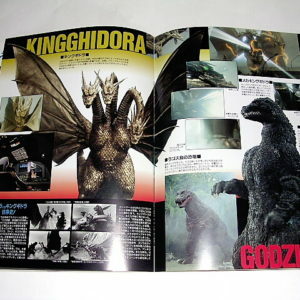 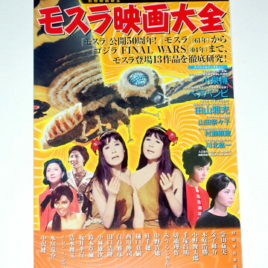 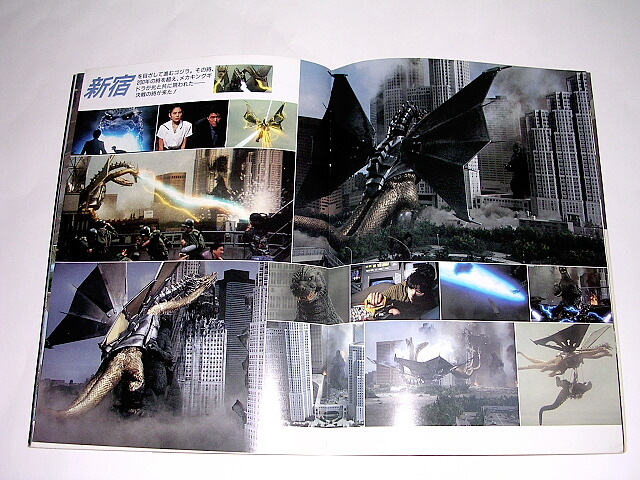 The action features scenes on the island with Godzillasaurus during WWII, scenes with the aliens and m-11, scenes of the Dorats who become King Ghidorah, scenes with resurrected Ghidorah who becomes Mecha King Ghidorah and scenes of Monster Battles between Godzilla and King Ghidorah.